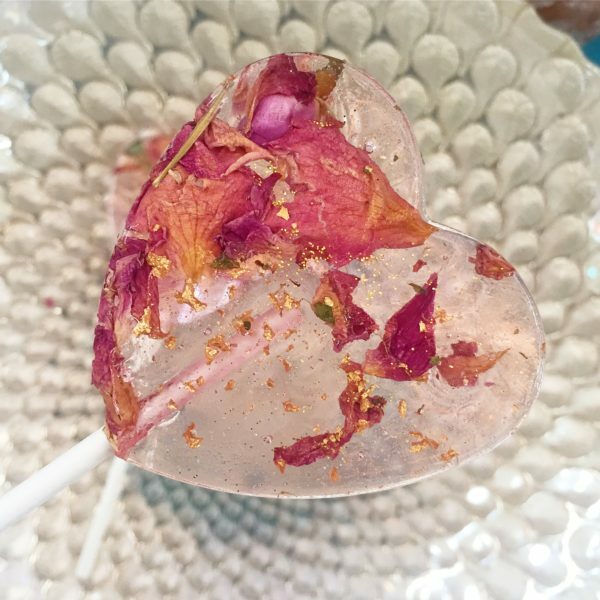 These unique and eye catching edible demaskan rose petal lollipop favours make stunning wedding and event favours. They come wrapped in individual clear cellophane bags. Small, blank, stamped or custom card tags are available to purchase. Our edible demaskan rose petal lollipop favours are available in a wide variety of colours and flavours including vanilla, cotton candy, marshmallow, coffee, watermelon, rose and champagne. Please get in touch using the contacts page for a specific colour or flavour not listed in the option menu. Size option includes LARGE: 5 cm (2 inch) round lollipops (total length approximately 14 cm) and HEART-SHAPED: 4.5 cm (1.8 inch) heart-shaped lollipops (total length approximately 10 cm). I didnt get to taste these becuase all our guests loved them so much they were all taken! Lovely flavour and very pretty to look at. Excellent delivery. Will certainly recommend. 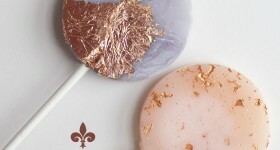 Luscious lollipops we used as save the dates for our wedding. So beautiful and tasty. They were so pretty and went down a treat! Only thing is they are really expensive for what are. Gorgeous- commented on by all the guests. I didn’t get to taste myself as they were all taken but assured they tasted as good as they looked!! Would definitely order again! Thanks guys! Absolutely loved my lollipop favours and they looked fabulous, Thank you so much.